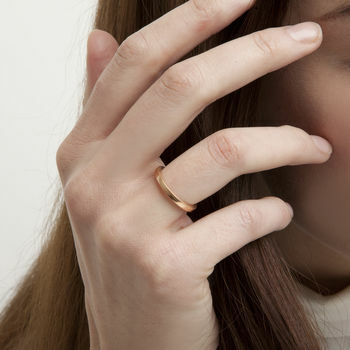 Rose gold plated slim square edge ring. 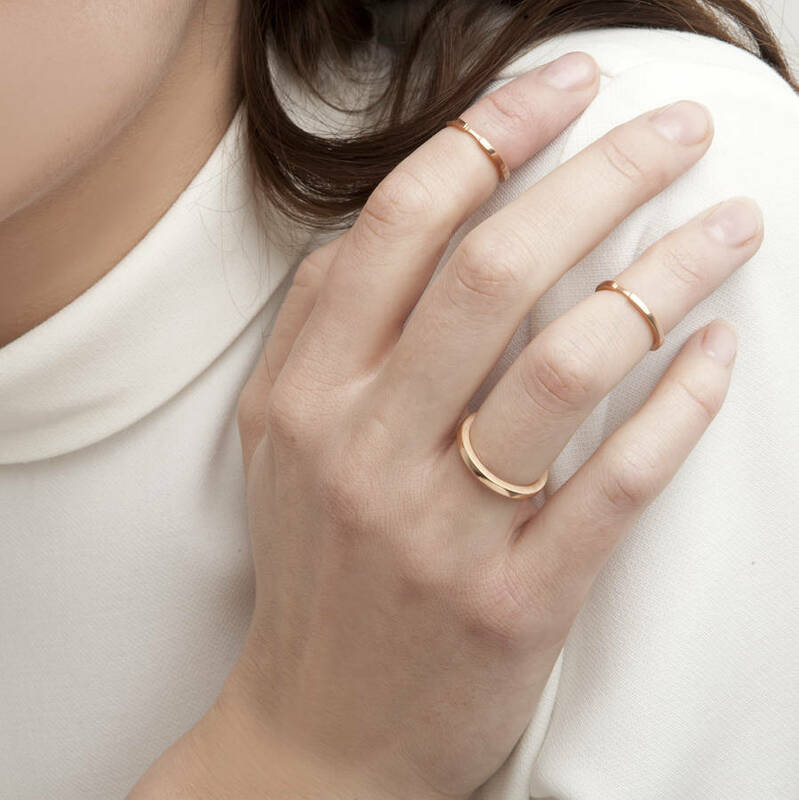 A versatile and comfortable every day ring. Works well with Rose Gold Plated Strip Band Midi Ring. 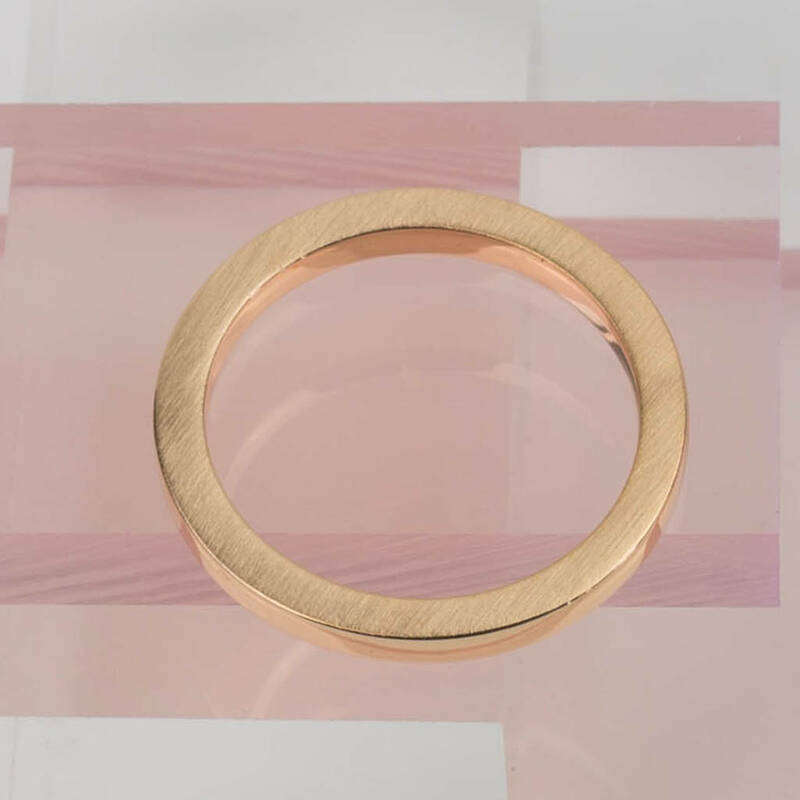 This slim square edge ring has an on trend rose gold plate. With a minlmalist aesthetic, it can be worn on it's own or with midi rings. 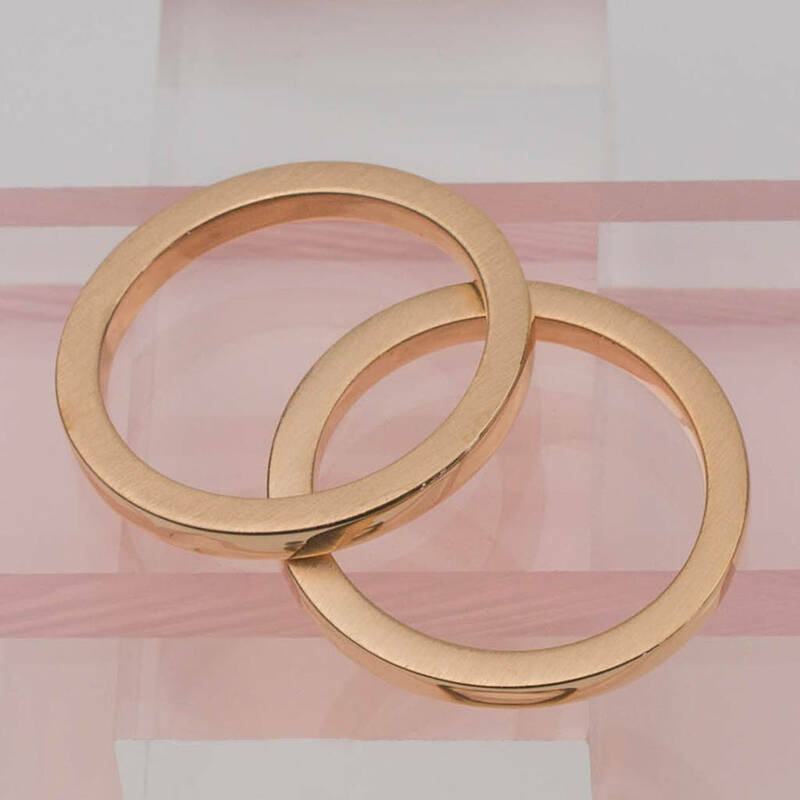 It looks lovely with the strip band midi ring providing a fashion forward feel, It's perfect for the woman who likes to set their own style agenda. Maybe this is your daughter or your wife? This ring is part of the Harlequin collection and it has a matt brushed finish with a sleek high polish. It is handmade and finished in London. Available in ring sizes M and N.
Solid sterling silver with 18ct rose gold plate. There can be a slight variation in the colour of the rose gold plate from that pictured. The colour can vary from a rose pink colour to a more red gold colour. Please keep your jewellery clean. If it becomes tarnished, wipe very gently, especially the matt surface, with a silver polishing cloth. 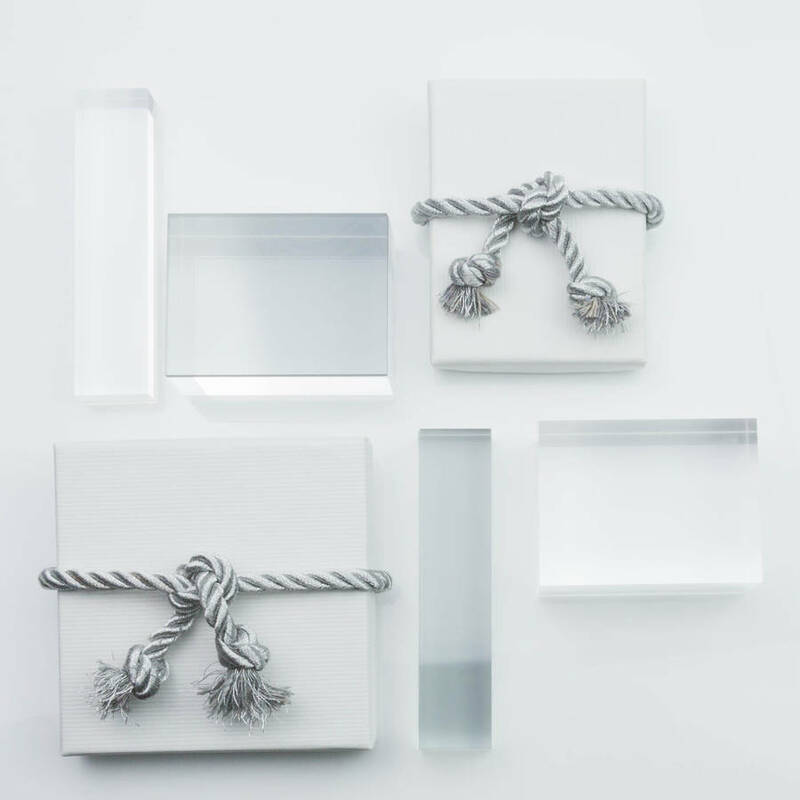 Do not allow your jewellery to come into contact with chlorine or chemicals.Store your jewellery individually as this helps it not to become damaged or scratched. However, it's usual for silver items which are worn stacked to become scratched over time. This happens when metal items rub against each other.